24-7 Bag in 'Pea Green' by Flip & Tumble - Review & Demo! | Sahrish Adeel - Malaysia based Pakistani Beauty & Lifestyle Blogger! 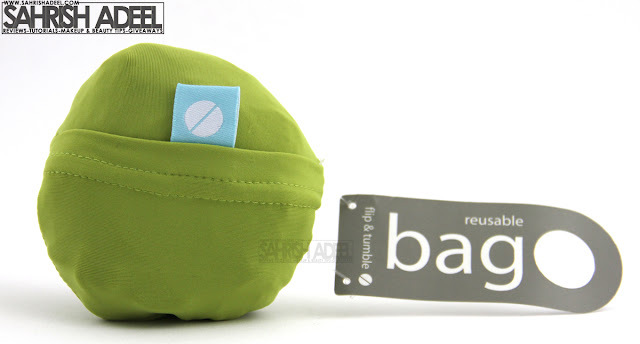 24-7 Bag in 'Pea Green' by Flip & Tumble - Review & Demo! Are you trying to be eco-friendly by saving plastic bags but you can't because you always forget your reusable bag at home? Let me tell you an easy solution for that. Will save hundreds and hundreds of plastic bag. Becomes the size of a peach to carry in the bag without occupying more space. Felt patch on shoulder strip helps to avoid slipping the bag off the shoulder. Comes in really pretty colors. This bag is perfect in every way and I could not find any negative thing about it. I really want to be eco-friendly by not using plastic bags when I go for shopping but most of the times my shopping is not planned and I can't put my reusable bags in my handbag as they occupy most of the space. Also, if I am shopping for cosmetics, accessories or clothing, I really hate to carry so many bags and hurt my hands. If you are getting me, you will understand that those shopping bags are big most of the times and contains a shirt, a couple of earrings or may be a small shadow kits. Since I have got this bag, I tell the shop keeper to give me the thing I bought and I put everything in one bag and it keeps my hands free plus I am saving so many plastic bags already. 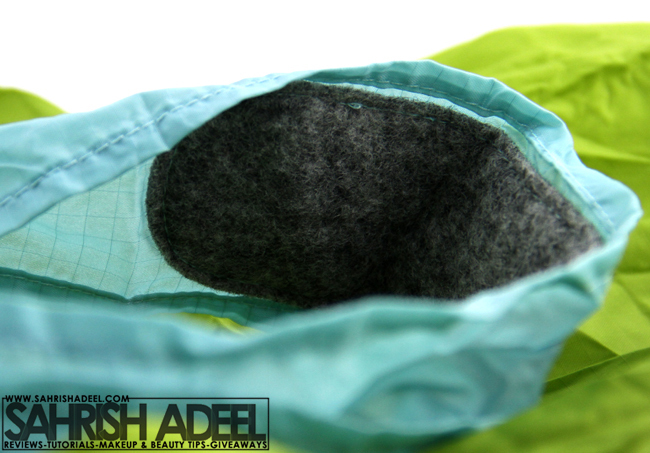 The fabric of the outer part (the ball which becomes a small pocket) is made up of a stretchy material. I like to keep the coins in the pocket. 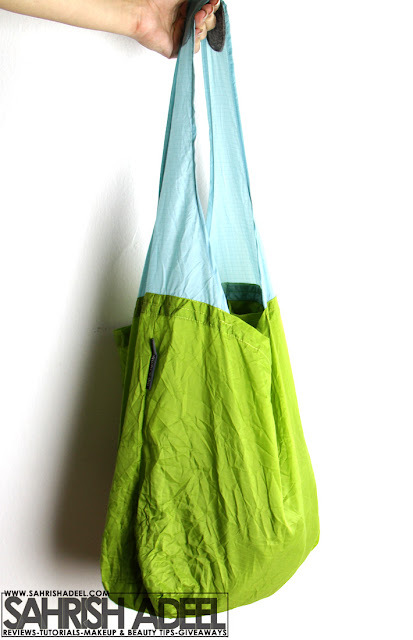 And the fabric of the rest of the bag is made up of ripstop nylon and it is really easy to wash. Just soak it in surf and cold water and wash or I also put it on a 30 minutes washing round in my washing machine and then just hang it on a hanger on the cloth stand to dry. I am so loving this bag that I totally recommend it to everyone. There is one more thing I would like to share, my son loves to play with this bag when it is in a ball shape and I don't mind because it is safe and won't damage anything around the house. This bag is available at Serendipity for RM 35 ( PKR 1000 approx ) & they ship worldwide. You can check out their website here. Serendipity is based in Malaysia and they have many other international brands that you can shop on reasonable prices. They have so many colors combos in this bag. You can also check out more variety for Flip & Tumble bags (available in various sizes and colors) on their official website that also ships worldwide over here. On their official website, this bag is available for $10 which is almost equal to the price Serendipity is offering.